Well this was unexpected…you can pretty much throw out everything you know about the Arctic Monkeys going into Tranquility Base Hotel & Casino – it’s a hard departure from practically everything they’ve created and become know for up until this point. And I found it pleasantly, pleasantly surprising. I’m sure that won’t be the same for everyone, and I’m sure it will be divisive amongst their fanbase, but I’ll be damned if you don’t applaud how daring it is. A casual listen this is not, right from the start we’re transported to a sort of conceptual, romanticized, ’70s-esque space opera. It’s very Bowie-like, especially on the opening tracks. It’s an artistic piece of music that’s abstract in everything from its loose, meandering narration, to its retro-futuristic soundscape full of spacey synths and vintage instrumentation. 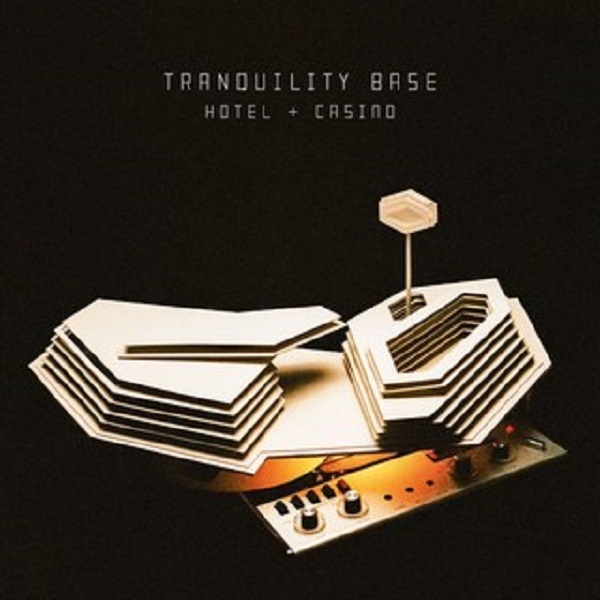 Tranquility Base Hotel & Casino can be best described as hallucinogenic lounge music that’s left-field, inventive, and smoldering. A highly unexpected direction from an established band that could’ve easily played things safe, but instead chose to take major risks that paid off in one of their most exhilarating albums to date. Have you heard Tranquility Base Hotel & Casino? What’d you think of it? Would you like to hear more experimentation like this from the Arctic Monkeys? Let me know in the comments below and be sure to leave your own ratings and reactions for the album. Tranquility Base Hotel & Casino can be best described as hallucinogenic lounge music that's left-field, inventive, and smoldering. A highly unexpected direction from an established band that could've easily played things safe, but instead chose to take major risks that paid off in one of their most exhilarating albums to date.